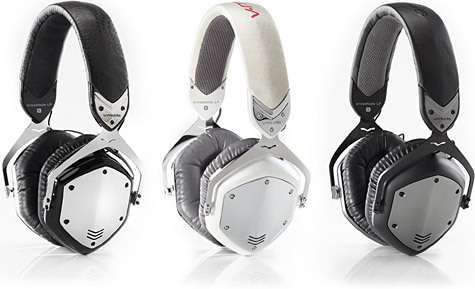 V-Moda has recently released their new line of headphones called "Crossfade" which are now available. The Crossfade are over-the-ear headphones with V-Moda's unique style. They feature memory foam ear pads, a steel frame, 50mm Dual-Diaphragm High-Definition Drivers, detachable Kevlar-reinforced fabric cables and much more. The Crossfade are V-Moda's first line of headphones to be introduced. V-Moda's Crossfade headphones are available now in Gunmetal Black, Phantom Chrome and White Pearl with a price tag of $250. Hit up the link for more info.